YouTube, VICE NewsShane Smith has stepped down as CEO of Vice Media and into the role of executive chairman. Bryan Bedder/Getty ImagesNancy Dubuc is the new CEO of Vice Media. Smith, who cofounded the $US5.7 billion media company in 1994, will move to the role of executive chairman to focus on strategic deals and content development, the company said. Dubuc announced her departure from A+E on Monday, but she didn’t initially confirm her move to Vice. 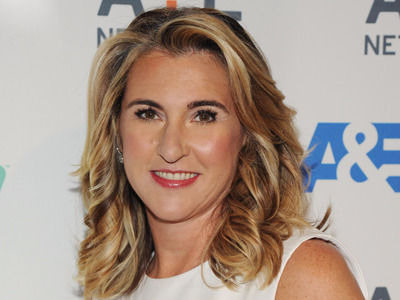 “In her roughly 20 years at A+E Networks, Nancy played a major role in building the success of A&E, History, and Lifetime, and we thank her for her leadership,” Disney-ABC Television Group’s chief, Ben Sherwood, and Hearst’s CEO, Steven Swartz, who run A+E’s parent companies, said in a statement. But company culture isn’t Vice’s only concern. The company has also struggled financially since raising $US450 million at a whopping $US5.7 billion valuation in June. Vice, which is private and does not share its financials publicly, last year missed its $US805 million revenue goal by more than $US100 million, according to The Wall Street Journal. That miss was largely due to difficulties at Vice’s cable TV channel, Viceland, according to The Journal. “Shane and the team at VICE have done what all of us aspire to do – build a brand and make content that people really care about. VICE speaks to a generation that defines today’s cultural conversation, and the opportunity to partner with all of the incredibly creative people across the entire company was one of those rare moments in a career.